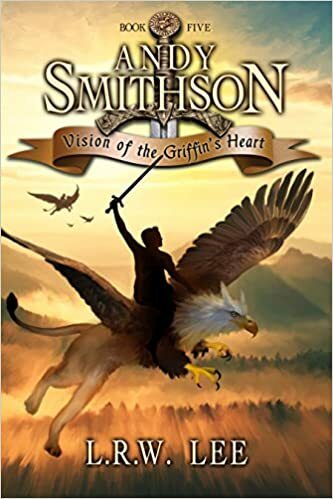 Vision of the Griffin’s Heart is an emotional roller coaster. Andy Smithson is growing up while facing unprecedented challenges. In Book 5 of this Andy Smithson series Andy faces his greatest challenges so far. As the heir apparent to the throan of Oomaldee, he and his family become the primary target of the evil Abbadon. The story opens with Andy and his Mom back in Lakehills, Texas. Andy has been reflecting on events just prior to his leaving Oomaldee about a year earlier when a chest appears near the family mailbox. In it, a letter from this friend Alden and one from Yara Princess of Chromlech. “The two hit it off,” after Hans the healer lead a mission to rescue her from Abbadon. Shortly thereafter a flock 30 zolts armed with swords appeared, accompanied by a sound like thunder on a clear day. The adventure is on. Readers of this series by author LRW Lee have come to anticipate a host of challenges, intense battles and on a monumental scale. In Vision of the Griffin’s Heart, you won’t be disappointed. The enemy borne from within appears, casting shadows, darkness, and fear. a glow pierces the night. This challenge and others provide guidance to Andrew, his friends and allies. Andy receives assistance from: his father, mom, his Mini-Me (sort of like his conscience), the magician Merwin and other leaders. As the story progresses, Andy realizes the people of Oomaldee can’t defeat Abbadon on their own. The allies must build a coalition with friendly states in the area to challenge Abbadon. LRW Lee draws upon epic fantasies like Lord of the Rings by J.R.R. Tolkien and C.S. Lewis’ Chronicles of Narnia which to a large extent are based on Nordic myths and the Bible. These writings challenge protagonists to engage enemies in battles of good against evil. The good folks in these stories aren’t super heroes. The draw strength bonds of friendship, the participants working together toward a common goal. Sacrifices are made for the greater good of all. Friends draw upon faith from belief in a higher power, in God, and are guided by representatives of that power. In this story Andy faces grief as people he loves either die or threatened with death. Through various means he is allowed to view and better understand, life beyond physical life, something that provides comfort if not elimination of grief. This book shows us a more mature Andy, someone begins to understand the meaning of love and the pain that follows when love is taken away. Andy Smithson Book 5 advances the ongoing quest as the stakes are raised. For lovers of fantasy, I consider it a must read. 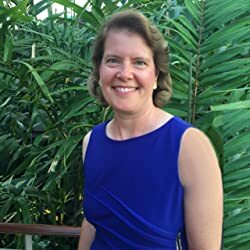 L. R. W. Lee is the author of the Andy Smithson juvenile fiction series of epic fantasy books for kids 9 to 99 including teens and young adult, set in medieval times with knight, magic and mythical adventures. She lives in scenic Austin, TX with her husband and her daughter who is a Longhorn at UT Austin. Her son serves in the Air Force. Her teen YA fantasy series includes free young adult books. Blast of the Dragon’s Fury, the series starter, is one such Kindle freebie. Lee gives away the first ebook of her teen & young adult books for free in order to let readers sample her work at no risk and so those without a large reading budget can enjoy an epic adventure. Thanks so much for your review. I’m thrilled you enjoyed the book. Look out, there’s a whole lot more about to happen! You’re welcome, I’m eager to see what comes next. I see a big showdown in the future. Thank you Cassandra for your kind words and for following my blog.